Africa has to find a way to rein in its runaway population growth, said South Africa’s AfricaTimes.com in an editorial. The latest U.N. projection shows the continent’s population will double by 2050. Of the nine countries that will collectively account for half of the world’s population growth, five are in Africa—and they are some of the poorest: Nigeria, Congo, Uganda, Ethiopia, and Tanzania. It doesn’t have to be that way. 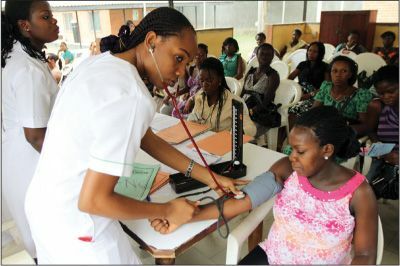 If African girls got access to contraceptives and family-planning advice, the continent could reap a “demographic dividend,” as delayed pregnancy leads to better education and better health for women. That in turn will fuel economic growth for everyone. Get reproductive health care to the girls and save the future.